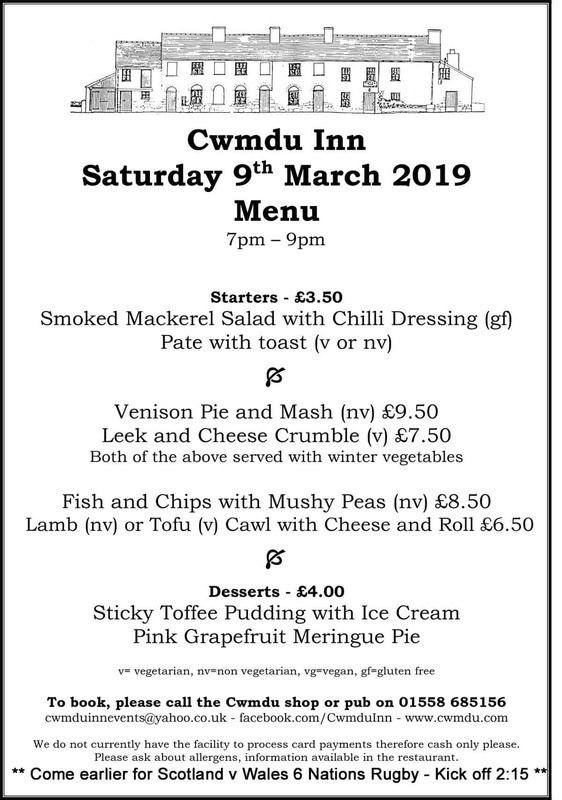 Scrumptious menu at for Saturday the 9th March at Cwmdu Inn. Three course and various choices available with selection for vegetarians and non-vegetarians. Earlier in the day 6 Nations Rugby will be playing in the “Blue Room”, Scotland v Wales – kick off at 2:15. Details here If you are interested in the England / Italy match please call the bar.